Specifically for "grabbing" sheep and goat legs. 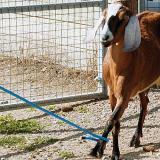 Leg crooks are best for goats because goats prefer to face you—so if you wish to catch them in a pen, it works best to do so by snagging a front foot. 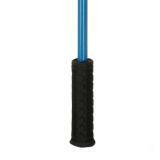 The ideal crook for pasture situations, because the 54 in. reach allows you to snag sheep and goats from behind. 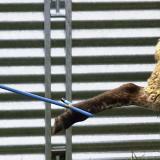 A goat's agility, slim neck and lack of wool mean that neck crooks are often useless. Target the location below the knee and above the hock/hoof. 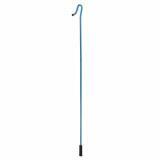 The depth of the hook helps reduce the chances of the animal escaping. To catch a ewe with newborn lambs on the pasture: First catch the lambs. Then lay a leg crook between the lambs and ewe with the crook head toward the ewe. The ewe will likely face her lambs. Encourage the ewe ever closer. When the ewe's front foot is near, instantly raise the crook and snare her front leg. Recommended: 16 out of 22 said they would recommend this product to a friend. Works well on my larger Spanish goats. 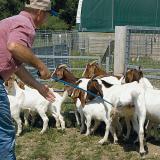 Limited success with my kid goats under one year of age; need to hook them above the knee joint or they will slip out. Overall, it's a time saver for me as I don't have to run them down in the pen as much; the crook helps me run them into the pen corners to hook them. I expect with time and more experience with it, things will get easier. Don't bother. Unless your sheep have the meatiest legs on Earth this crook is too wide to catch anything but air. I occasionally use it to direct sheep by waving it around but that's about it. 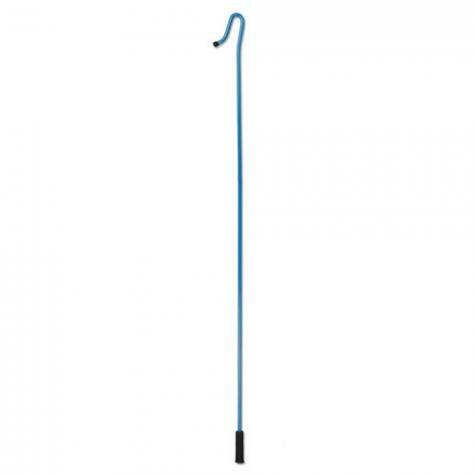 It works great for catching geese by the neck but it's not much good for goats. 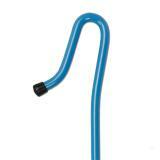 This crook is quite heavy and it is also susceptible to bending. It is also a bit short for catching a sheep that has wedged itself into the middle of a group. I recommend buying just the head and putting it on a wooden handle. It works very well on larger goats. On kids, you have to hook them above the knee as the hoof will slip out. Where this thing really shines is catching geese. It fits perfectly around the neck. For larger ones, it's far better than a fish net.